Driving down Blossom Ridge Road she sees the barn again when it’s half gone, the route an involuntary reflex minutes after the call: Zoe! Your father! His heart! This time, this time…—a nearly forgotten after school back road short cut to what used to be home. From his booster seat in back, Harry--look, look! Godzilla was there!—bangs her headrest with his happy meal green lizard, roaring for it with the joy of destruction. ROWR, ROWR, her glance, a swerve. She straightens right away, but her heart thumps, hot spit rises in her mouth. The whole east side of the barn really does look like some movie monster has taken a chomp out of it. Slats of peeling red wood hang down, themselves like bloody bits of broken teeth. Zoe’s taken the short cut before—other calls—but always speeding too fast without Harry in back, without her sister Moira next to her, blurring out the sight of the barn falling in on itself. Just like a scar you stop seeing after a while. And then, blessedly, she stops, mindful of Harry, too young to hear of ropes and rafters and such deaths. And then—remembering their mission--can’t you go faster? For Zoe has slowed. She wants, suddenly, to stop too, to watch the barn’s destruction, to tell Harry, reckless of his age, oh son, there are things of horror far worse than child’s play, to tell Moira to silence her pitiful, useless prayers and listen while she finally speaks: the barn’s been rotting from the inside out for decades, behind the barn by the leaky pump, that’s where it started, I saw the leak that time I walked home alone when you had the flu, on a bright sharp afternoon along Blossom Ridge Road, the day after the field trip you missed, stopping to get your free apple, smiling when I saw old man Gettleman, following him round back, no reason not to, and by the time I realized there was, all I could do was stare at the drip, drip, drip. That’s when the destruction began, bit by bit by bit. Not by anything so obvious as Godzilla. Moira says, hurry up! before collapsing back into her prayers. Zoe says, shut up and nothing more. She presses her foot to the accelerator, speeding on in sudden silence. On the way back, Moira wants Zoe to take the regular roads: Blossom Ridge Road is curvy and dangerous in the dark. But Zoe takes the short cut, though now there’s no need for hurrying, not now in this little space before all the arrangements that will need to be made. So Zoe takes the curves languidly, even lovingly, her heartbeat steady, her mouth dry—too much hospital coffee—but coming around the curve, as the sweep of her headlights show the barn is entirely gone, she gasps. The only sound in the car. Moira is silent; no need for praying now. Harry sleeps. The green lizard, mute by design, has fallen to the floor. Yet the image of the place, when it was bright red and new, promising hope on school field trips and family visits, comes back full, like the retinal aftershock of a flash photo just snapped. Zoe pulls away, dry eyes narrowing on the slit of illuminated road before her, while Harry stirs in the safety of his booster seat, moaning: rowr. Sharon Short is the author of the literary coming-of-age novel My One Square Inch of Alaska (Penguin Plume) as well as of two mystery series, short stories, and essays. 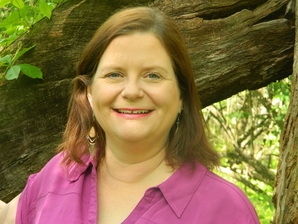 She is also the Executive Director of the Antioch Writers’ Workshop in Yellow Springs, Ohio and the Literary Life columnist for the Dayton Daily News. Based on chapters of her current novel-in-progress, Sharon was named the 2014 John E. Nance Writer-in-Residence at Thurber House in Columbus, Ohio. Her work has also earned an Ohio Arts Council Individual Excellence Award and a Montgomery County (Ohio) Arts & Cultural District Literary Artist Fellowship. . Sharon holds a B.A. in English from Wright State University and in 2013 was named the university's Outstanding Alumna for the College of Liberal Arts Department of English. She also holds an M.A. in English from Bowling Green State University. Sharon lives with her husband in their native state of Ohio. Learn more about Sharon and read samples of her work at ww.sharonshort.com.